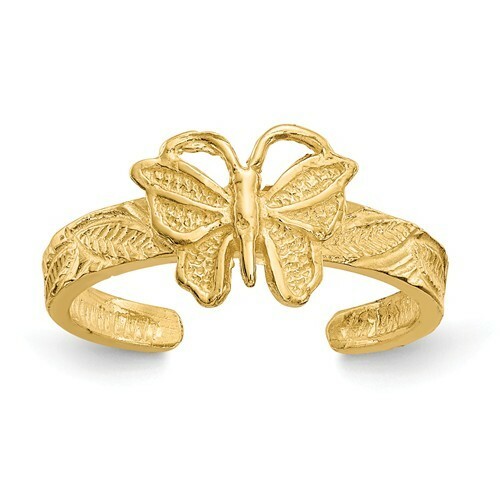 The beauty and symbolism of the butterfly inspires this sensational toe ring. 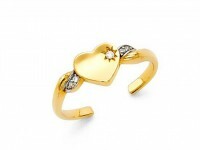 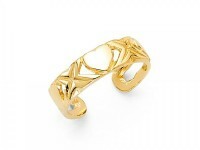 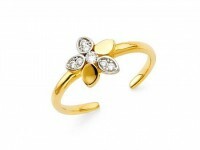 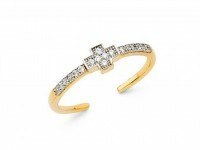 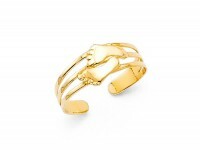 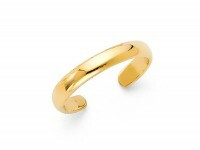 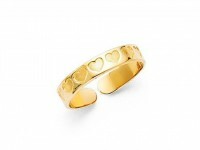 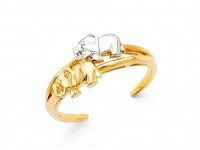 It is crafted from polished & textured, 14k yellow gold. 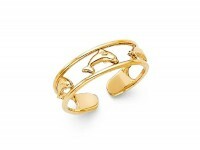 The 2mm band adjusts for the perfect fit and features a textured, leaf design.